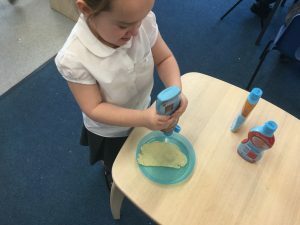 Mix a pancake, stir a pancake, pop it in the pan! 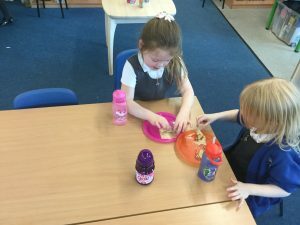 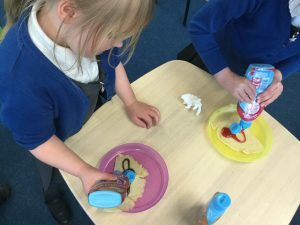 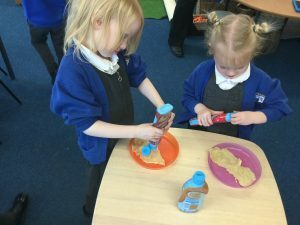 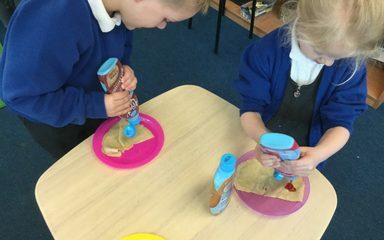 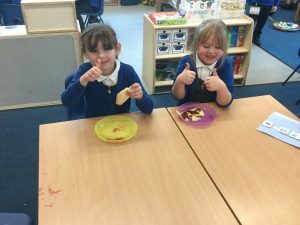 The Dragonflies and the Ladybirds had a fabulous time making and eating pancakes on Shrove Tuesday. 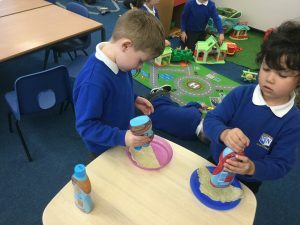 They helped make the batter and then cooked pancakes. 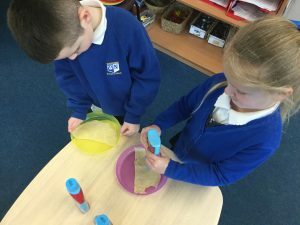 We watched how the runny batter changed into a solid pancake. 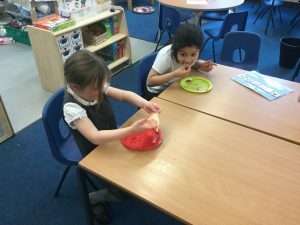 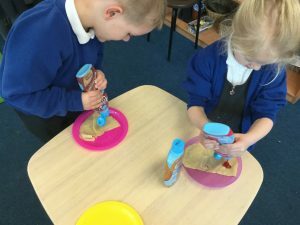 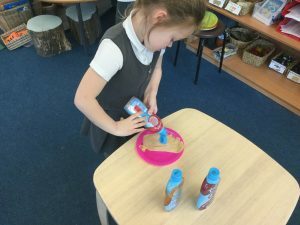 Once cooked, the children went to the topping station and chose their favourite topping. 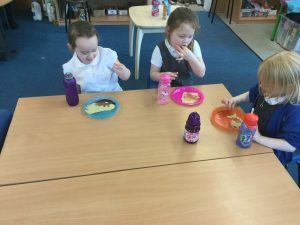 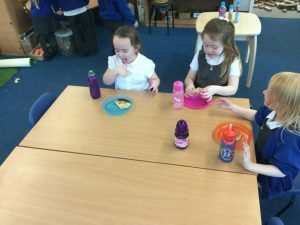 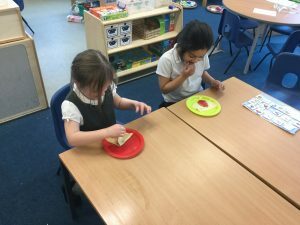 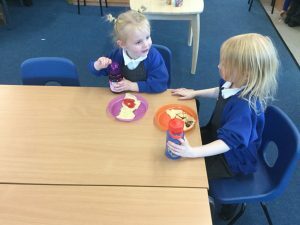 They then enjoyed eating the pancakes with their friends. 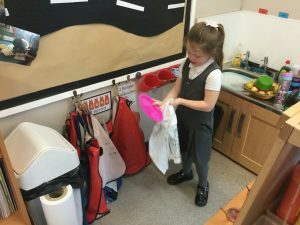 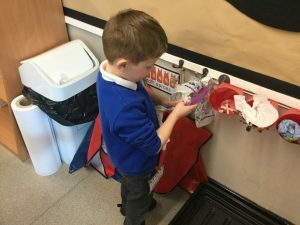 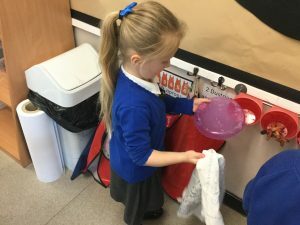 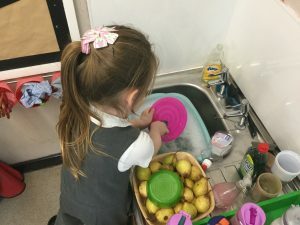 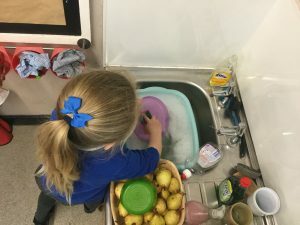 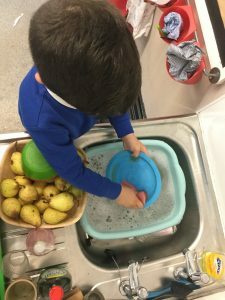 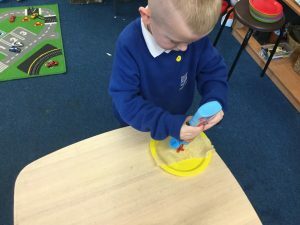 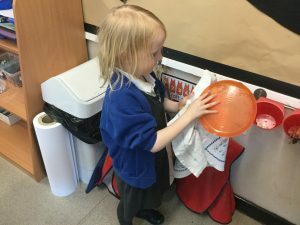 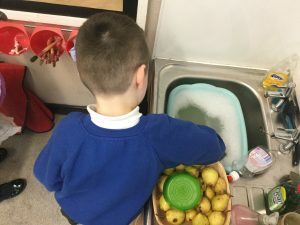 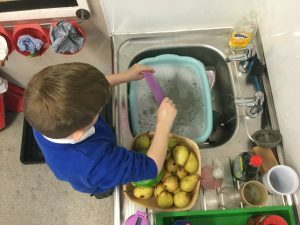 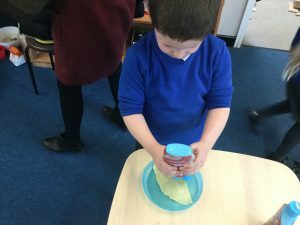 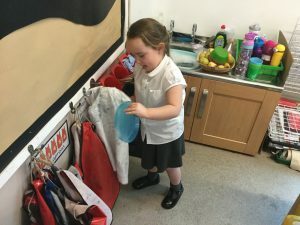 The children washed and dried the plates for their friends to use. 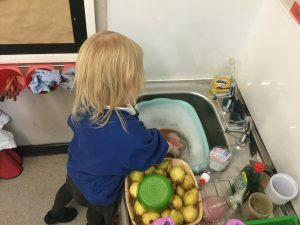 Article 31 All children have a right to relax and play, and to join in a wide range of activities.